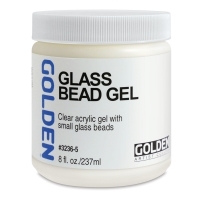 Golden Glass Bead Gel is a clear acrylic gel with small, densely packed glass beads. It adds texture and luminous effects. 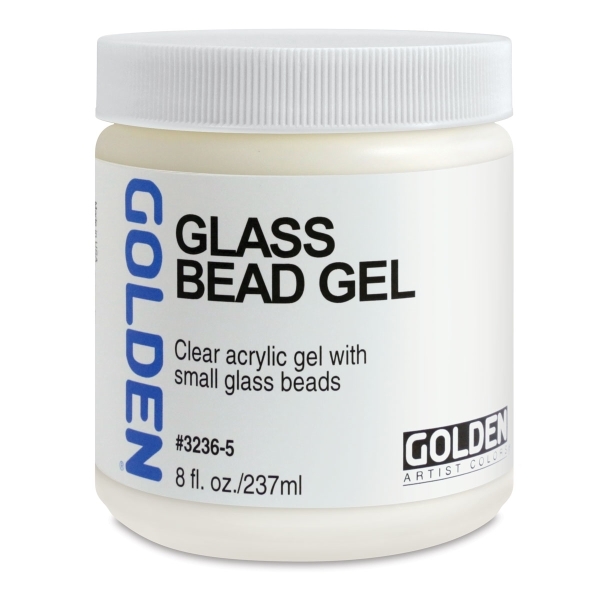 Pricing Note — Items with the Blick Best Price icon ( ) on this page are not eligible for additional discounts due to pricing restrictions set by the manufacturer.